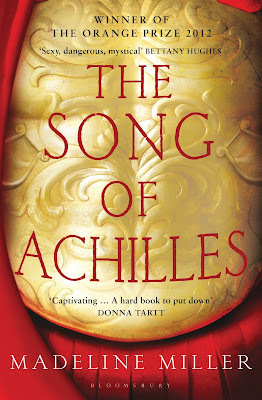 The Song of Achilles has been on my radar for a while now, I've seen so many readers from all over the world sing its praises while also warning that it's utterly heart-wrenching. They weren't wrong. I'm writing this review having only finished the book about an hour ago, so I'm a complete emotional mess and I can already feel the book hangover that's about to overtake me. I'm going to be thinking about this book for a long time - it's one of the best books I've read this year, and quite possibly one of the best books I've read period. 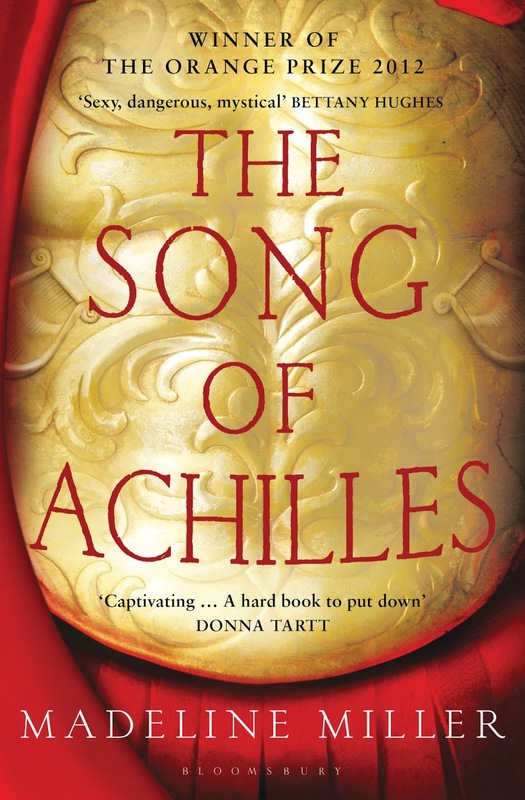 In this book Madeline Miller tells her interpretation of the relationship between Patroclus and Achilles leading up to and during the Trojan War. Greek Myth is so much fun because there are so many different versions of every legend that there's plenty of room for an author to play around with, and in Miller's tale she portrays Patroclus and Achilles not as cousins, as they sometimes are, but as friends-turned-lovers. That doesn't seem to do their relationship justice, however; put simply, these two are everything to each other. The gentle and timid son of a harsh king, Patroclus is exiled from his kingdom to the court of King Peleus after he accidentally kills another boy. There Patroclus befriends the king's half-immortal son, Achilles, and a close bond develops between them which, over the years, gradually grows into something more than friendship. I'm not sure how to put into words how much I loved Miller's interpretation of their relationship - it blossoms so naturally throughout the book. Achilles is the first person to give Patroclus the time of day and appreciate his quiet qualities and Patroclus is the only person who sees Achilles as a person rather than a ready-made legend. What makes their relationship work is Miller's fantastic interpretation of these two figures from Greek Myth as individuals. I loved her Achilles from the moment we meet him, a little aloof and self-assured yet curious, and her Patroclus, whose point of view the book is from, grew on me throughout the story. I was a little unsure of him at first, but by the end of the book I absolutely adored him and it was really interesting to see the kind of all-consuming love we so often see women experiencing in these kind of epic stories being experienced by a man. With the Trojan War as the eventual backdrop of the novel there are plenty of other famous figures from Greek Myth who grace the pages of this book, from Hector to Odysseus to Apollo himself, and Miller writes each of them wonderfully. It was so easy to tell while reading this story that Miller poured everything she had into it, the research she undertook to write it the way she has written it must been immense and I really admire her for it. The women, too, are wonderfully realised. Achilles' mother Thetis is so easy to dislike, and yet while she is one of the more villainous characters in the book - but not the villain, in my eyes - we also learn to understand her. Miller doesn't shy away from the often horrific way women were treated in the ancient world, particularly during times of war, and while Thetis is immortal even she has suffered at the hands of men. We also have Miller's interpretation of Briseis, whose tender friendship with Patroclus I loved, and I adored her almost as much as I did Patroclus. Throughout the story, Miller doesn't try to romanticise Greek Myth; war is portrayed as the horrible thing that it is and she doesn't attempt to 'fix' the strangeness of these legends. Greek Mythology is weird, the Gods play around with mortals as easily as we might play a game of The Sims, but Miller is a wonderful storyteller. Her writing is rich and sumptuous, but easy to follow, and I was swallowed into the world of Ancient Greece in the most wonderful way while reading this book. And the ending? I sobbed. I need to take some time to just sit with my grief before I move on to another book. It sounds dramatic, I know, but we follow these characters from childhood through to adulthood and watch them grow and change, it's difficult to watch them running towards the inevitable end of the Trojan War without secretly hoping that things won't go the way you know they're going to. If you're familiar with the story of the Trojan War this story is full of the most heart-wrenching foreshadowing. Read it and weep. I can't recommend this book highly enough. It's instantly being added to my list of favourite all-time books and I can't wait to get my hands on a copy of Circe.